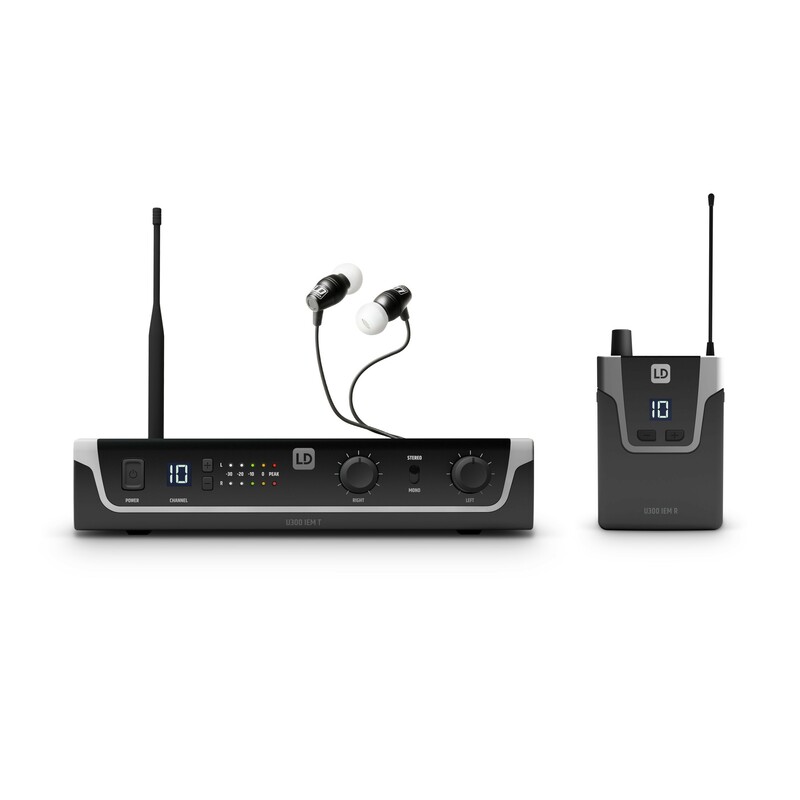 Professional sound, easy setup and contemporary looks – LD Systems U300® wireless in-ear sets provide consistent monitoring wherever you go on stage. 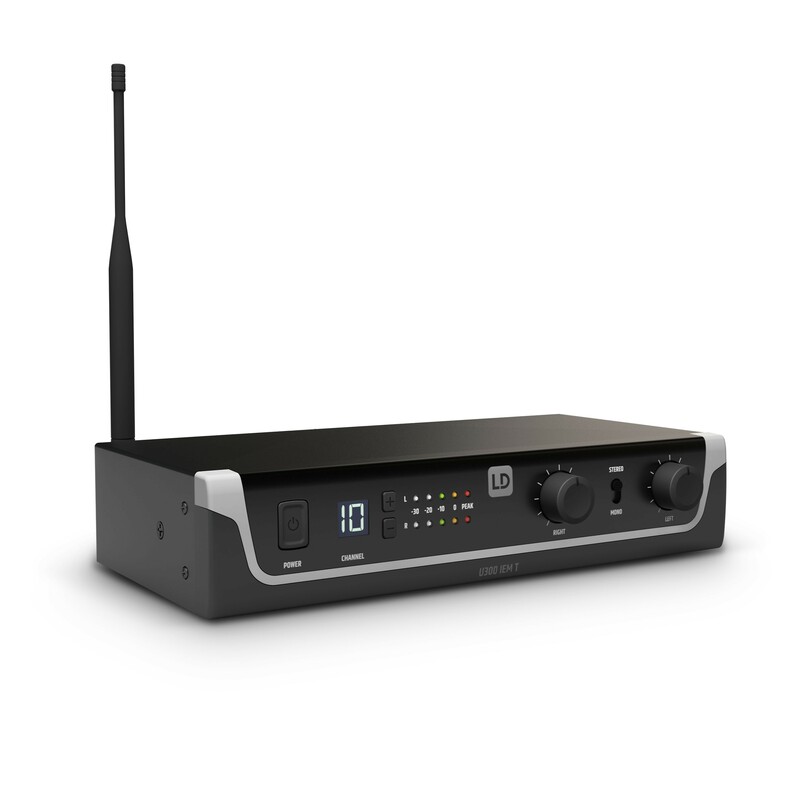 Engineered in Germany and available for operation on 5 different frequency bands, they feature 12 selectable channels, 10 mW RF output power and a reliable transmission range of up to 100 m. U300® in-ear systems provide mono and stereo modes and extended frequeny response from 50 Hz to 16 kHz. 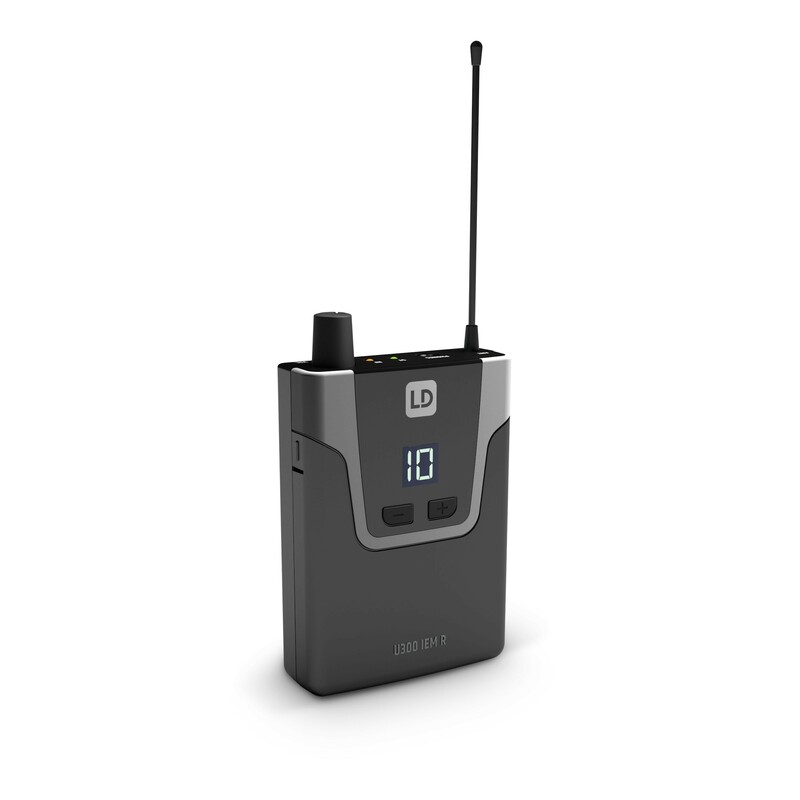 Operating up to 10 hours on two AA batteries, the bodypack sports a volume control for convenient in-performance monitoring level adjustment.